It is still being good for best lap timing: the MTM Ur-Quattro S1, with its 5 cylinders engine, has once again shown this summer that it gets around the Hockenheimring almost as fast as the Porsche Armada. 25 years younger as the legendary S1 and directly from the same development department, the tuning specialist presents the MTM TT-RS with the rebirth of the 5 cylinders engine as perfect motorization for drivers who like their car being suitable for racing. After the MTM power therapy, the sport car from Audi gets a power of 424 BHP and 560 Nm of torque and shows itself with a new aerodynamic which is based on the Ur-Quattro. The secret: love for details and understanding of the new engine from Audi. In addition to the adjustment of the engine control unit, MTM has also worked on the exhaust system: new middle- and end- pipes with throttle valves. Moreover, an additional pre-pipe with metal catalyser can be built in. The result: a high-revving engine, lots of torque in every range of performance and an impressive sound thanks to MTM exhaust system technology with throttle valve. 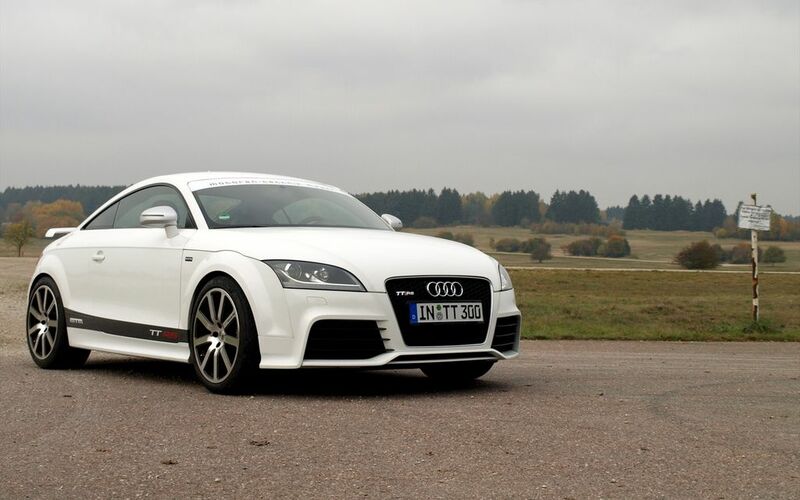 A compact sports car which will be good for best lap times and this not only on the small track of Hockenheim. 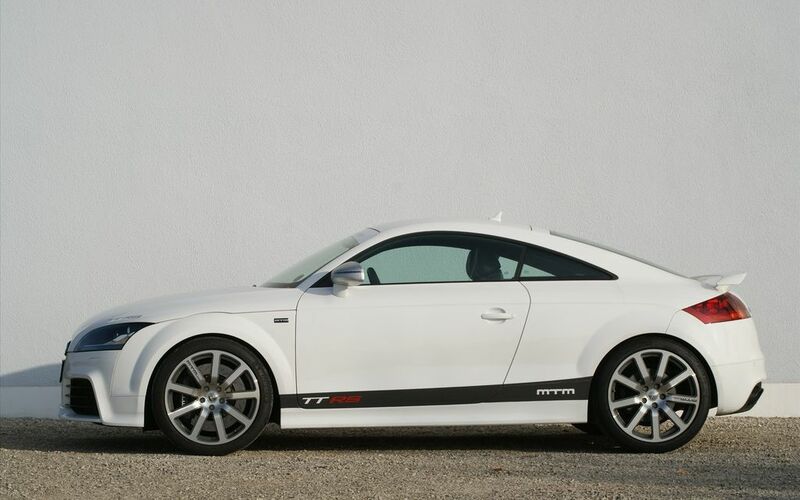 The MTM TT-RS can be ordered in 3 different stages of power enhancement. Besides the maximal stage of 424 BHP with 84 BHP more as the 340 from the series car, MTM also offer 2 stages with 404 and 408 BHP and 550 Nm. 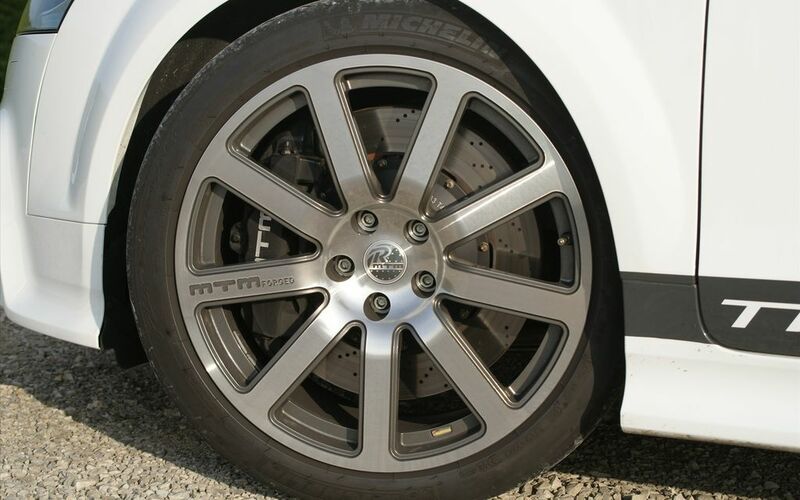 MTM sports rims with the original BIMOTO design in 19 and 20”, as well as suitable spacers in 20 mm and 30 mm are available.